Opens up with bright bergamot and floral notes. The fragrance smells very exotic and keeps changing every now and then and comes under Chypre category. Has been compared to Areej Le Dore Atlantic Ambegris but is more deep, heavier and darker. Delight for your nose if you love artisanal fragrances. the clove floats very softly and freshly, almost minty, into this woody aromatic scent. and it opens the nose and throat like a cool summer rain. cardamom and champaka take away her sharpness and shallowness. in her society, she appears distinguished and noble. of oakmoss and violet a little soothed and gently dusted over, she now illuminates this fine spicy veil of blossoms from within like white-golden light. everything remains transparent, subtle and balanced. so deliciously balanced that no fragrance component is pushed into the foreground. the overall picture is elegant, light spicy, floating, by no means sweet. tangible, multi-layered, harmonious, artistic and natural at the same time. if it is so, it is worth to search for it. 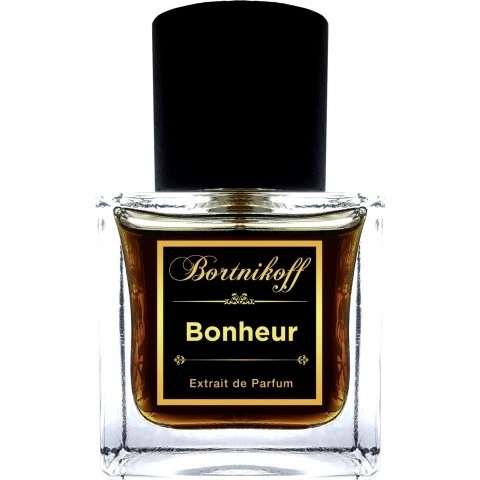 Write the first Review for Bonheur!